As Lanier's Chief Compliance Officer, Deidre is responsible for all facets of compliance within the organization as well as assisting with client service and special projects. 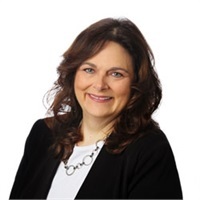 With over 30 years of experience in the financial industry, her areas of managerial expertise include operations, communications, reporting and client relationships. Before joining Lanier, Deidre worked at AEGON Institutional Markets, INVESCO and National Asset Management. Deidre is a graduate of Bellarmine University with a Masters in Business Administration and is a current member of Bellarmine's MBA Advisory Board.